Reception, Year 1 and Year 2 pupils are entitled to a universal free school meal and our catering supplier is Dolce Ltd who provide high quality hot lunches and the menu offers lots of choice for even the fussiest of eaters. When joining our school you will be registered for the Dolce online ordering system, Live Kitchen and here you can preorder all of your childs lunches. 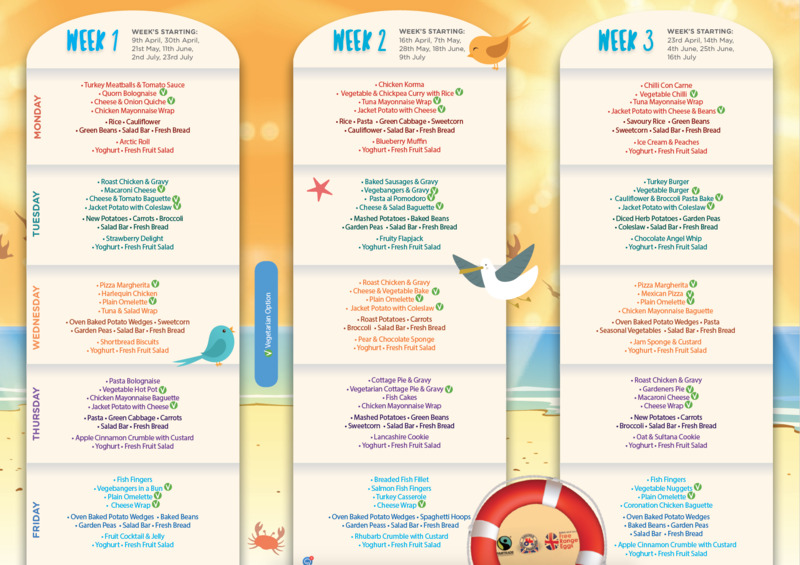 Our menus rotate over a three weekly and termly cycle, they offer a range of meat and vegetarian options, salad bar, fresh fruit and wholemeal bread. At the start of service pupils are encouraged to select their own name off the touchscreen tablet, they are served their lunch, choose their salad/fruit and then are able to take their seat with cutlery and water. At the end of their meal they are able to put their tray and cutlery in the tidy up areas.